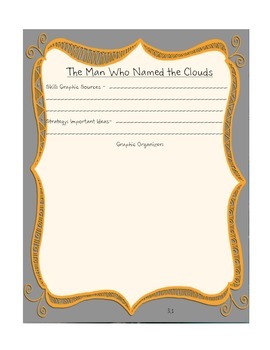 This document includes the following: Two journal pages with skills (vocabulary, concept map, amazing words, a place for notes for the weekly skill and strategy, and a graphic organizer related to the skill for the week) , a constructed response question for the week's story (this has added directions, but uses the question from the student edition), student vocabulary cards, and a spelling sort game with categories and spelling cards. I use the journal pages throughout the week as we go through the reading skills. 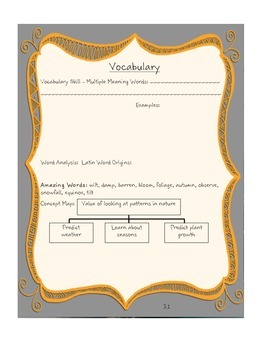 Students can sort the amazing words into the concept map and add other words as well. There is a spot beside the vocabulary words where I have my students tape a "pocket" on by using a small piece of colored paper. They keep their vocabulary cards here. You can laminate the spelling sort game. I have my students sort the spelling words into the correct category and then record the sort on paper using the colors of the category cards. 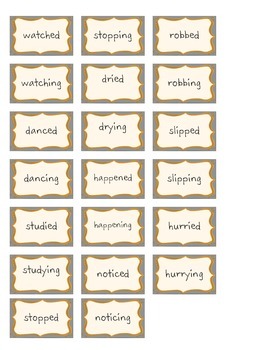 This is a great reading station to reinforce the spelling skill. 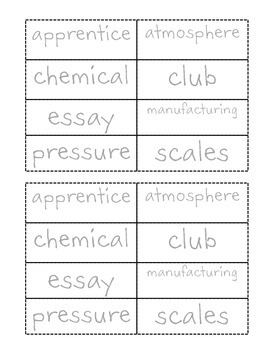 The number at the bottom of each category card lets students know how many words they should sort into each category.